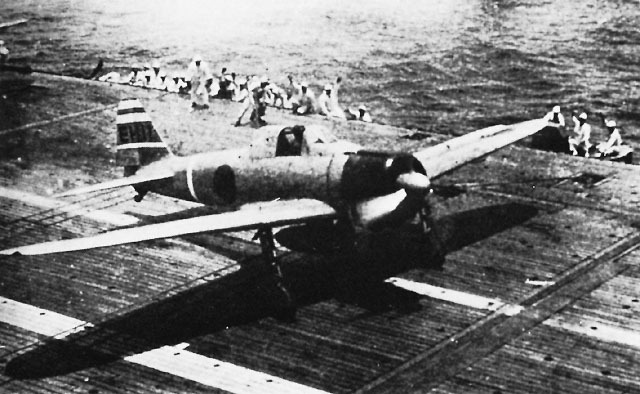 Lt. Hideki Shingo launches from the carrier Shokaku, October 1942 during the Battle of Santa Cruz. Shingo was a veteran of China and early campaigns of the Pacific War, he rose to the rank of Lt. Commander.